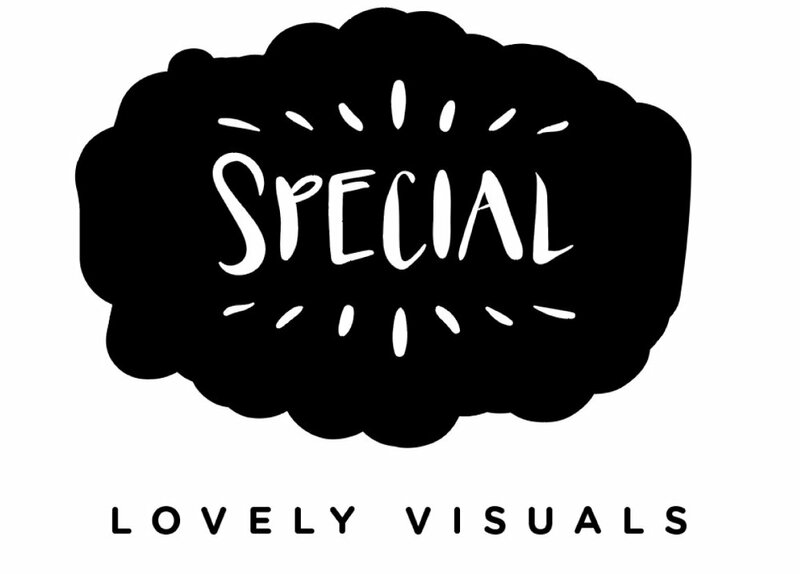 We drafted three distinct visual identities, evaluated them, weighed them against one another, and finally ended up choosing one logo direction for our startup, Special. Our pick is revealed below! The 5th installment in this special series that gives you a front row seat to our startup process! Get caught up and follow along with our previous posts. WE SCRUTINIZED THE THREE CONCEPTS SIDE BY SIDE. Which was the strongest? We had Concept I: "Handmade," Concept II: "Building Blocks," and Concept III: "Pop." Visual identity is the ultimate cumulation of a brand's strategy, its personality, its goals and intentions, and its projection of those things out into the world! It's likely the first thing you reach your audience with, so you have to make it count. Decisions can be really tough, ok?! It's adaptable. It's not tied to a color scheme, it works large, in digital or print, on any application, in almost any environment. Since we'll be creating multiple types and styles of educational visuals for different kids, classrooms, and teachers, this was crucial. It appeals to our target market. In our previous post, we went over our demographic: teachers, typically: female, mid-40's, Midwestern. The paintbrush style here would fit right in on their Pinterest boards. It's handmade! Drawn and drafted by us. It's totally ownable by our brand, and ours alone. We picked a style. We still need to turn it into a bonafide logo. The Development phase is about getting an aesthetic down on paper. Once we've honed in, we tweak, prod, brainstorm, revise, and revise again, until we have a polished identity we can stand behind. All in all, we're pretty proud of where we ended up! What do you guys think? We’ll slap our shiny new logo on actual products! Watch us begin product development, creating visual aids in three distinct style lines, fueled by our brand's now fully-formed visual identity! Stay tuned to watch Special come to life.